Gabrielle studied at the University of Oxford for a BA in Politics, Philosophy and Economics, an MPhil in Politics, and a DPhil in Politics. She joined the department in 2011 after holding posts at Newcastle University, Keele University, and the University of Leeds. 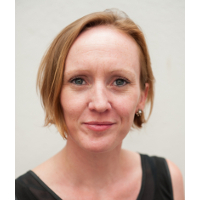 Dr Gabrielle Lynch’s research interests lie in understanding the nature and political salience of ethnic identities, politics of being indigenous, causes of inter-communal violence, impact and utility of reconciliation and transitional justice mechanisms, and elections and democratisation. Her research to date has focused on Kenya, and between January 2011 and January 2013 she undertook a three-year project on ‘Truth and Justice: The search for peace and stability in modern Kenya’, which was funded through an ESRC first grant. Together with Nic Cheeseman (University of Oxford) and Justin Willis (University of Durham), Gabrielle was then awarded two further ESRC grants – an ESRC Knowledge Exhange Grant (2013-2014) to work with the UK’s Foreign and Commonwealth Office on contemporary Kenyan politics, and an ESRC Standard Grant (2012-2017) to conduct a comparative study on elections in Kenya, Uganda, and Ghana. Gabrielle is an elected member of council of the British Institute in Eastern Africa (BIEA) and formerly of the African Studies Association of the UK (ASA-UK). Gabrielle is also the former chair of the editorial working group of the Review of African Political Economy (ROAPE) and former editor of ROAPE and the International Journal of Human Rights. She wrote a twice monthly column for the Saturday Nation (the Saturday edition of Kenya's leading national newspaper) from April 2014 to March 2018 when she stood down alongside 7 other independent columnists in protest at "the loss of editorial independence and media freedom" at the Natoion Media Group. From November 2015 to January 2017 she also wrote a twice monthly column for The East African (the main regional newspaper). You can follow Gabrielle on twitter @GabrielleLynch6. Gabrielle is interested in supervising PhDs in a range of comparative and African politics fields.